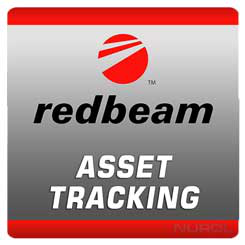 Fixed asset management is a critical component of effective resource allocation, and RedBeam can help make the job of tracking and reporting on these resources easier for you and your organization. Do you know the condition of these assets or where they are? Do you know what department is using them? Give your employees the freedom and flexibility of web-based asset tracking. Every asset tracker on your team can access the information via any laptop, tablet or mobile device to perform the tasks they need to stay productive. The bottom line is: If you have 500 or more fixed assets and you don’t have a system in place, it’s costing you time and money. RedBeam Check In Check Out can help drastically improve accountability and minimize the costs associated with lost or stolen items. Here are some of the things RedBeam does to help make that happen. Barcode - Print item and badge labels directly from the system. Scan - Scan the person, scan items out, and the scan items back in. Track - Report on items on hand, checked out, usage and more. Spreadsheet and paper methods are often time consuming and inefficient. RedBeam eliminates the traditional paperwork associated with tracking items checked out to employees, customers or departments. When you check items out from your toolcrib, library or resource center, you always know who has what. You know where items are and when they are due, who had them last and when they are overdue. RedBeam delivers accountability to ensure that the tools, file folders, equipment, and any other items you assign come back when they should, keeping you from having to waste valuable time and resources trying to locate them. Item reports show what's checked out, what's check in and when items are overdue. Usage reports show who has used items and how often. Additional reports provide detailed transaction history on check out, check in, reservation transactions. Easily import asset data via Microsoft Excel. Validation ensures with accuracy that all records have been imported. You can also export to Excel from RedBeam. We understand asset tracking inside and out. From installation to best practices, we're here to help you every step of the way.